The National Park Service is improving its sedation and holding procedures after the death of a wolf being transferred to Isle Royale National Park. The female wolf died on Sept. 28 while in a Fish and Wildlife Service holding facility in Grand Portage, Minnesota. She was part of a relocation project spearheaded by the National Park Service to repopulate Isle Royale National Park. The native wolf population at Isle Royale had been struggling to keep its numbers up. The island is surrounded by Lake Superior, and the wolves there are suffering from inbreeding. Liz Valencia, a manager of the project, said an investigation into the wolf's death is underway. "We won't know the cause of death until we receive results from the University of Minnesota Veterinary Diagnostic Lab, where it was sent for necropsy and diagnostic evaluation," she said. Valencia also said the Park Service is adjusting its handling of the wolves going forward. 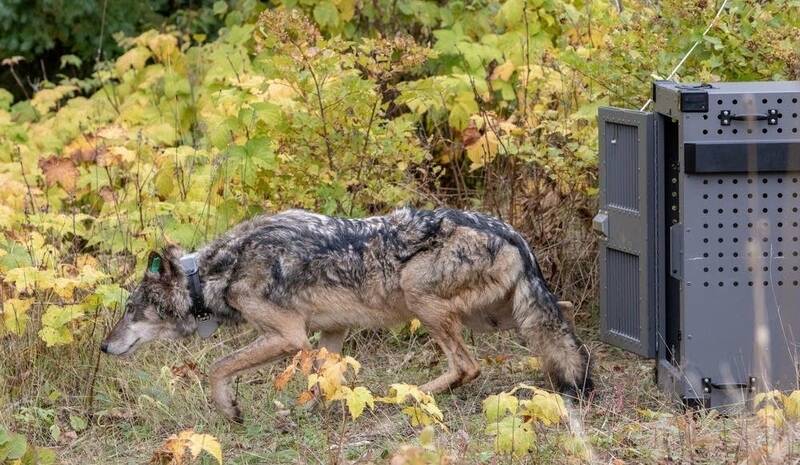 "There are three highly qualified wildlife veterinarians working on this project," she said, commenting that the changes made will give the wolves more time between capture, transport and release. "Those changes have been successful so far." Despite this setback, the National Park Service is proceeding with the relocation project. Four wolves, three female and one male, have been successfully released onto Isle Royale, with another two planned. 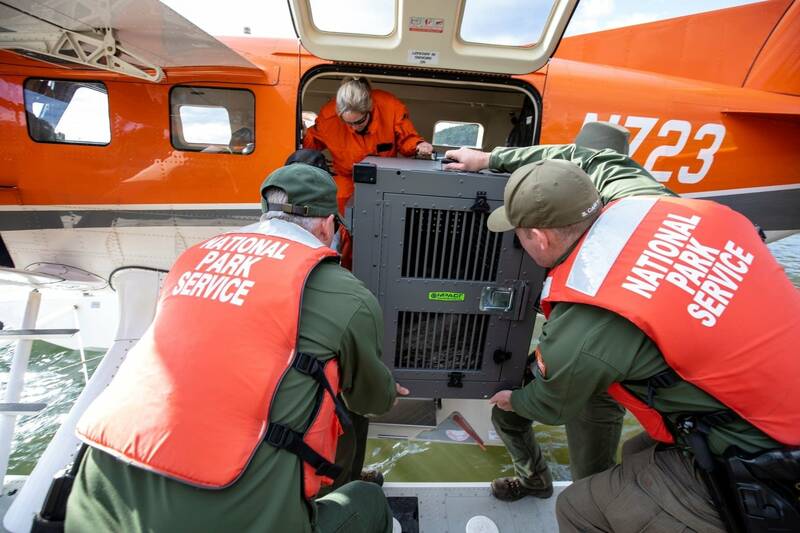 "Our goal for this fall is to translocate six wolves, so we are hoping to get two more." Valencia said. "Preferably the last two would be males because we are trying to bring an equal number of males and females."